The history of Hunton Park spans almost 190 years and it is the story of two houses originally named Hazelwood. In 1810 Henry Botham arrived from London with his wife. Exactly how he made his fortune is a mystery, however, he was a very wealthy man and now wanted a home in the country. He purchased 43 acres and built the original Hazelwood House. In 1816 he purchased a further 10 acres. Henry died 10 years later. His wife continued to live at Hazelwood House and before her death in 1838 she purchased a further 15 acres, leaving an estate of 74 acres which had been purchased for some £8000. With no family of her own Lydia left the Hazelwood Estate to a relative, Samuel Charles Gambier. Samuel never chose to live at Hazelwood and sold the property to his cousin, Henry Robinson Montagu, the transaction was completed in 1839. In 1847 Henry became Lord Rokeby. Lord Rokeby was a soldier who fought as a 16 year old Ensign at Waterloo and later in the Crimean War. After retiring from the Army he spent much time at Hazelwood. After the death of his wife he lived here with his daughter Elizabeth improving the property and laying out the grounds. The house then had a series of owners including Admiral Ralph Cator and the Vicar of Honingham, Henry Stewart Gladstone. Gladstone made £1000 worth of improvements to the property just before a fire on 8th March 1908, which completely gutted the house. The Reverend Gladstone began rebuilding immediately assisted by insurance proceeds of £10,500. The second Hazelwood House, although similar in appearance to the first, was sited at a different angle to the spectacular ornamental grounds. The original house had to be completely demolished. In 1930, the building was sold to Francis Edwin Fisher, a substantial landowner and businessman and an acknowledged world expert on breeding Jersey and Guernsey dairy herds. Francis enjoyed traveling and whilst abroad met and married the explorer and writer Violet Olivia Cressey-Marcks. Both enjoyed extensive travel and were often away from Hazelwood for long periods of time. Unlike the Gladstone’s they never considered Hazelwood their family home. The house was therefore empty or tenanted by others. Among these short-terms occupants was Emperor Haile Selassie of Ethiopia, an exile from his country. What happened to Hazelwood between 1939-1945 is unknown, however, part of the estate was used as an airfield (now known as Leavesden Aerodrome). With the death of Mrs Fisher soon after the war the family was faced with crippling death duties and the house fell into disrepair. In 1971 a property company sought planning permission to demolish the House in order to build a housing estate, this proposal was rejected. The cinema industry provided some much needed funds for repairs. Raging Moon directed by Bryan Forbes was made here as was the Executioner, a Hammer House Production. Shortly after this period Paul Edwin Hembler, owner of small businesses bought the house and changed its name to Hunton Park. Many local residents and maps still do not recognise this name. In 1979 the House was purchased by the Dexion Group as their Headquarters. From 1983 to 1986 saw the House once again empty until The Prudential purchased the property and over the next three years the House was renovated and the new bedroom block, barn block and swimming pool were built. In January 1989 Hunton Park became operational as a conference centre. Initial Style Conferences managed the House for the Prudential until May 2001 when they purchased the property for themselves. Extensive refurbishment was done throughout 2002-2004 in the bedroom blocks, reception, house and bar. In November 2005 the Alternative Hotel Group purchased Initial Style Conferences from Rentokil and re-branded the group as DeVere Venues. Hunton Park provides the ideal venue for your event. The splendour of the old house coupled with the refurbished areas create a comfortable and relaxed setting for your guests. 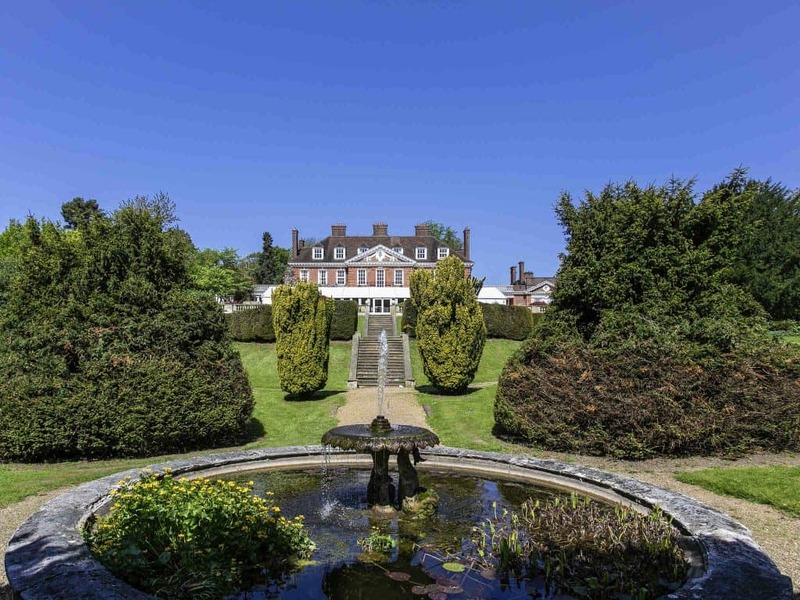 The breathtaking grounds at Hunton Park, which are traditionally preserved, provide an ideal setting for photographs.